Lekha Nair was born on 17th October 1963. She is married and has a daughter. Mrs. Nair did her schooling at the Regina Mundi Convent, Seychelles. She holds a Bachelor of Commerce-B Com in Accounting and Commerce from St Teresa’s College in Kerala, India as well as a Master of Science in Public Finance from Leeds Metropolitan University in United Kingdom. In 1979, she joined the Ministry of Finance in her first job as an Internal Audit Assistant, and from there she worked her way up within the Ministry completing her studies in between. Over the years, she was promoted to various positions within this Ministry, including Chief Internal Auditor and Director General of Financial Planning. In 2005, she was appointed as the Principal Secretary for the Ministry of Finance, the only woman to hold the post, where she played a key role in trade liberalisation and successfully formulated and implemented the fiscal, economic and trade policies as part of the economic development of the country. In 2008, Mrs. Nair was appointed as the first Chief Executive Officer of the newly created Public Officer’s Ethics Commission, where she set up the ethics framework in the public service to deter corruption, enhance good values and boost credibility in the public service. She joined Air Seychelles in 2010 as the Director of Finance, leading the company’s Finance Department and playing a strategic role in its most challenging times. In April 01st 2012, Mrs. Nair was appointed Principal Secretary for President’s Office Administration and Finance and was responsible for the day to day running and the smooth operation of the Office of the President. 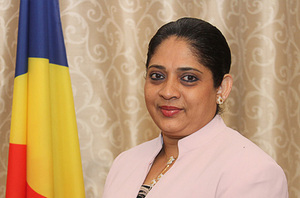 From February 2015, Mrs Nair was made the CEO of Seychelles Pension Fund, where she is currently ensuring that the national pension service is modern and appropriate to the workforce of Seychelles and managing its prudent investments. Throughout her career, Mrs Nair has been on various Boards and Committees such as Nouvobanq, Public Utilities Corporation, Seypec, SIBA, Seychelles Pension Fund and Island Development Company to name just a few. She was also instrumental in setting up the National Tender Board. She is currently the Chairperson of the Development Bank of Seychelles and a Board Director of SACOS. The National Disaster Relief Fund is also under her chairmanship. Mrs Nair was also the Alternate Governor of World Bank and Alternate Governor of African Development Bank amongst others. Outside work, Mrs. Nair engages herself in charity and voluntary work and is a member of the SOROPTIMIST International club of Victoria, an international charity organisation for professional women. 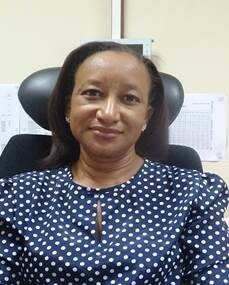 Mrs Audrey Nanon, is currently working for Seychelles Pension Fund as the General Manager for Corporate Services. The department comprises of Administration and Human Resources Section, Marketing and Public Relations Section, Accounts Section, Information and Technology Section, Information and Research Section and Risk Management Section. She holds a Bachelor of Education (Secondary Business) Majors: Business Administration and Legal Studies, from the University of South Australia, Australia and a Master of Business Administration (MBA) in Educational Leadership from the University of Lincoln, United Kingdom. In 1996, she joined the Seychelles Polytechnic, School of Business Studies, as an instructor for Business Studies. Over the years she was promoted to different positions in the institution from Senior Instructor, Head of Business Studies, Assistant Director for Studies and Director of Seychelles Polytechnic. In 2008, she moved to the private sector, in particular the Financial Sector, as a Senior Corporate Executive for a Corporate Service Provider, CKLB Fiduciary (Seychelles) Limited. She was appointed as the Chief Executive Officer of Seychelles Institute of Management (SIM) in 2010 where she played a key role in the transformation of the institute towards being an independent body. In 2012, she joined Seychelles Breweries Limited as the Controls, Compliance and Ethics Manager and was later appointed as the Chief Executive Officer of Paradis des Enfants Entertainment Ltd in 2014. She is also a part-time lecturer at the University of Seychelles (UniSey) and has been on various boards and committees such as Seychelles Association of Professional Women (SAWOP), International School Seychelles, Procurement Committee for Goods and Services, Fair Trading Appeals Tribunal, Seychelles Trading Company (STC) and Board of Trustees of the Seychelles University Foundation. Mrs Nanon was born on 2nd August 1970, is married with two children. Mr Jeffrey Moses has held a number of Senior Management positions in the Seychelles Pension Fund over the years and currently serves as General Manager Pension Division at the organisation. He is one of the founding member staff of the Seychelles Pension Fund, having spent twenty years working in the field and experiencing first-hand the development of the pension system in the country. He has also helped pioneer the modernisation of the current pension fund. As the General Manager Pension, he is responsible for the core functions (collection of contributions and payment of pensions) of the SPF and oversees the Pension Division which comprises the Contribution, Processing, Benefits, Customer Relations and the Praslin-La Digue Section. Mr Moses commenced his career in SPF formerly known as the ‘Seychelles Pension Scheme’ in May 1999. Initially he worked in the Accounts section and also processed benefit claims. He held a number of positions in the organisation and following the reform of the pension system and the introduction of the Seychelles Pension Fund in 2006, Mr Moses was appointed as head of the Benefit section; a core section which administers payment of monthly pensions to eligible members and also provide advisory services. Thereafter, following internal restructuration in January 2018, he was promoted to the Chief Officer level for the Pension division where he worked closely with the previous General Manager. In his career he has been exposed to numerous international experience in the pension administration field and undertook various work attachments worldwide. Mr Moses is amongst the longest serving staff of the SPF and brings a wealth of knowledge and expertise to the organisation. 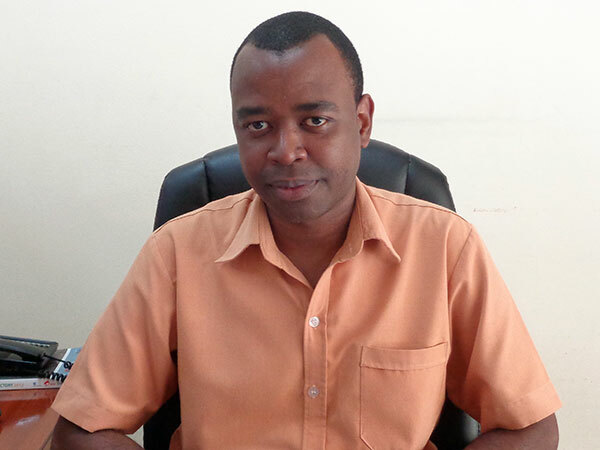 Mr Moses holds a Diploma in Business Studies and Accounting from Seychelles Polytechnic and a Diploma in Accounting and Business from Association of Chartered Certified Accountant (ACCA). He also holds a Master of Business Administration (MBA) from the University of Lincoln in the United Kingdom.